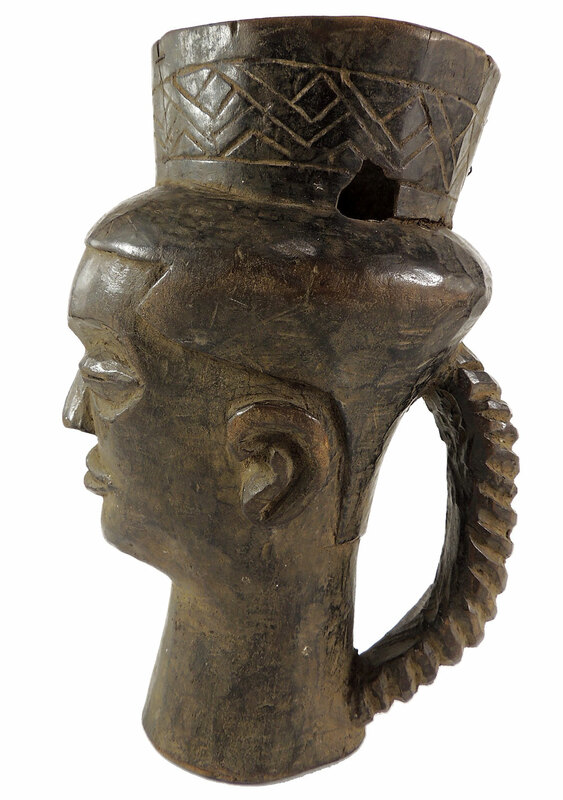 Additional Information: Figural cups such as this cups are among the most popular artifacts found in the Kuba region in the savanna region of the southeastern part of Democratic Republic of the Congo. These cups may be seen as the consecration of decorative art among the Kuba. 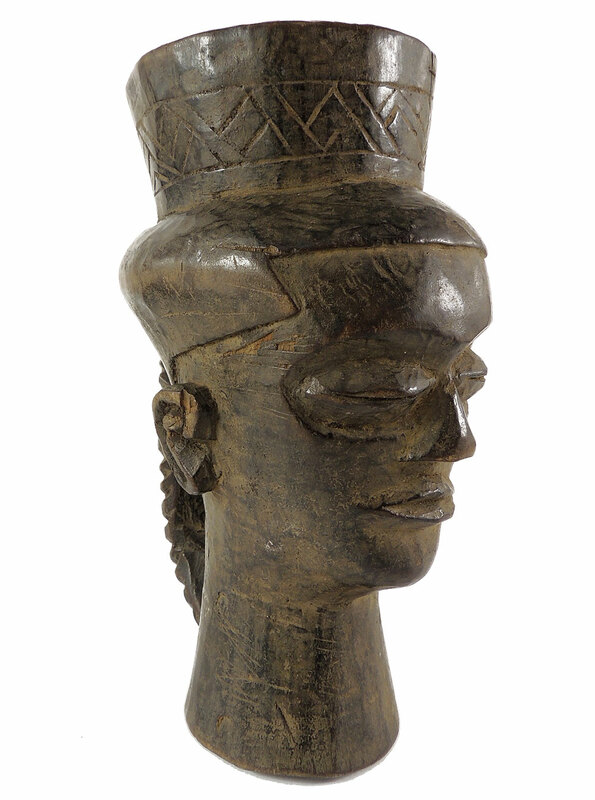 Kuba society is devoted to the visual: The art of decoration reigns supreme. 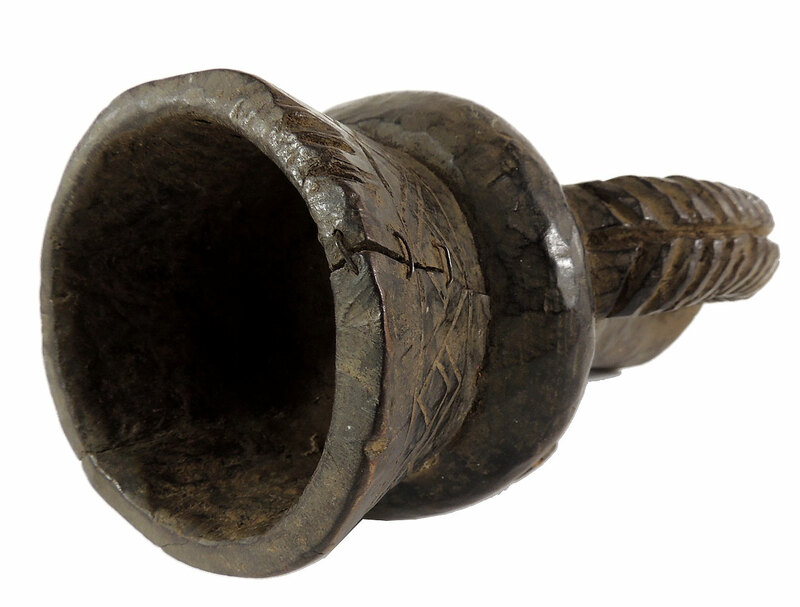 Kuba art is prized both for the quality and care of their craftsmanship and for the astounding power of their design (Bwiin) which touched sensitivity of western collectors and artists.